More than 78,116,869 beer lovers served! 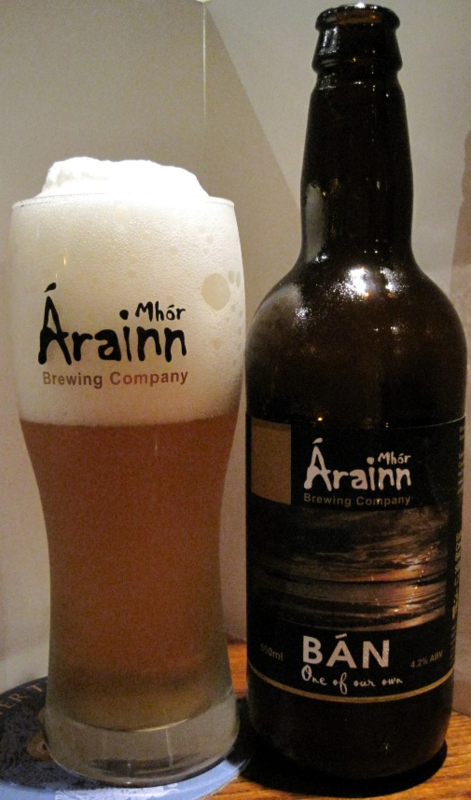 Árainn Mhór's beers are brewed in Belgium. Golden, hazy. Big fluffy head. Very light body, fizzy. Sweet wheat. Mildly spicy, mildly grassy, mildly yeasty. Nice clean beer. 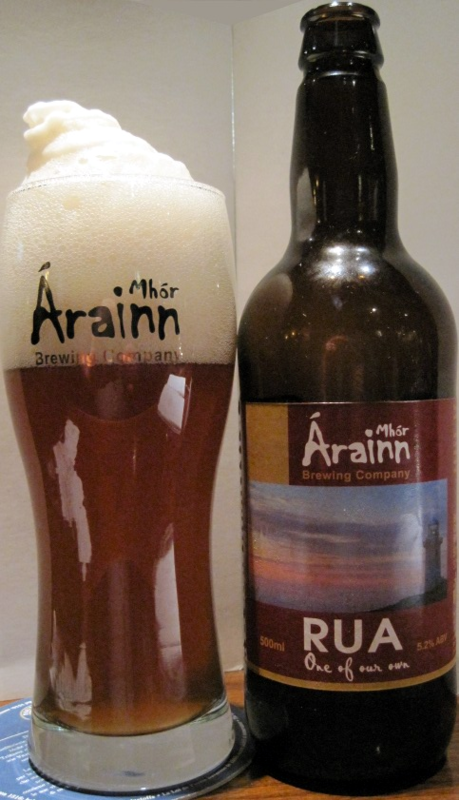 Bottle conditioned. Red-brown. Hazy. High carbonation. Huge head. Medium body, smooth. Toasty caramel malt. Spicy. Mildly grassy. Lots of caramel malt. Mildly yeasty.